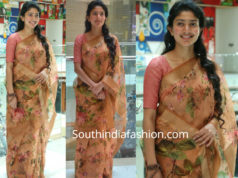 At a recent event, actress Shruti Ramachandran was seen in a grey floral printed saree by Tina Eapen Design Studio paired with contrast blush peach high neck blouse by Kalaakaari. 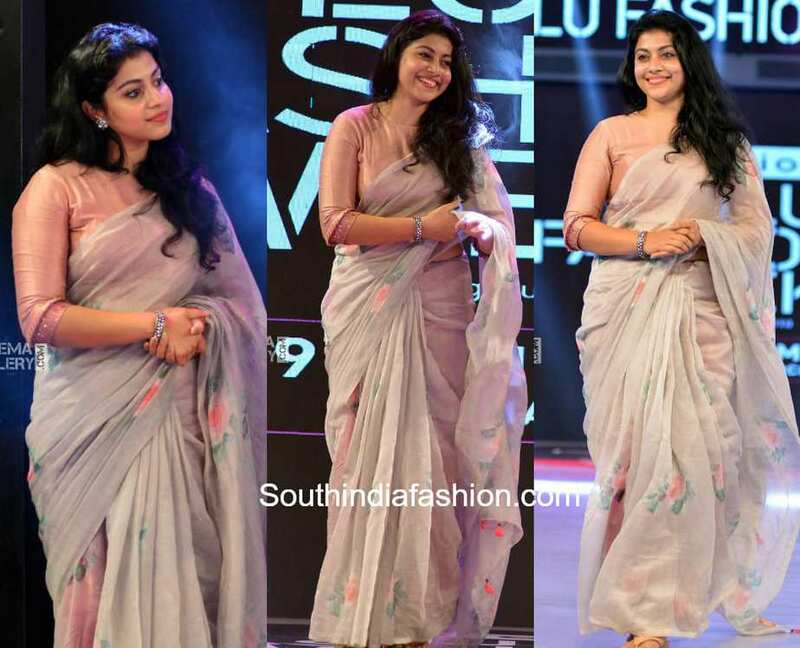 Silver jewelry and natural wavy hair rounded out her look! 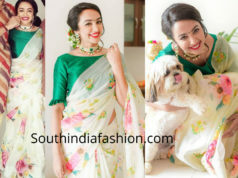 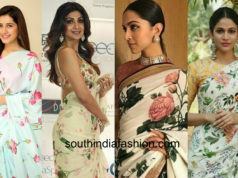 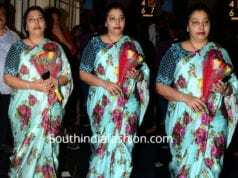 8 Floral Saree Looks of Celebrities That We Are Crushing On!